Although they're usually made of cheap canvas or faux-leather -- and all promise to crush your lower spine into an aching heap -- not all airline seats are created equal. The confines of your average economy cabin are drab and depressing, yes, but with a little inside knowledge of how to find the most comfortable seat on a plane, you can effectively game the system and enjoy soaring through the sky in a pressurized sardine box. Thanks to a helpful post on Quora by travel writer Steve Vadocz that's been making the rounds, we can glean some very useful insights into how to find the best seat on a plane. If your flight is short, the key is escaping the drudgery as quickly as possible, which means sitting close to an exit. Vadocz writes: "Sit as close to the front or back door allows you to quickly get off the plane after landing. Front is safer, as in my experience, not every airline uses back door to unload people (mostly low cost airlines do)." For longer flights, the decision largely revolves around your height, and whether you can keep your antsy tendencies at bay by sitting for prolonged periods. 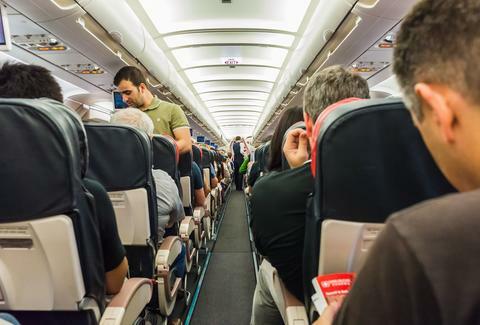 For taller people who like to move around, sitting in the aisle is recommended, mainly because you get to stretch your legs and exit the plane more quickly after landing. But for those among us who enjoy sleeping, the window seat is great. You're basically in your own universe here, as no one has to bother you for anything. But the pitfalls come when you have to go to the bathroom, as everyone in your row has to move for you. (It's practical to stay light on the beverages in this regard). This strategy doesn't guarantee success, but when it does work, you'll feel like a genius. Vadocz reasons the gambit has a 10-15% chance of working, but he always books an aisle seat next to one that's empty, just in the off chance that it's never filled. Since airlines automatically book Economy from the front to the back of the plane, the likelihood of lucking into this situation increases when you book at the back of the economy section. Seatguru does an excellent job providing seat maps of commercial flights. If you're skeptical about a seat, the site will list the potential issues you might have, whether it be diminished legroom or a backrest that doesn't recline all the way. And as always, immersing yourself in the world of airline industry experts is a continual best practice. With a variety of email services catering to the cause, you might find yourself worrying less about seat comfort and more about scoring unheard of deals.